Movies like Eternal Sunshine of the Spotless Mind and Inception suggest it may eventually be possible to erase, modify, or even implant memories into your brain. An upcoming episode of NOVA introduces viewers to this futuristic possibility and the scientists who are trying to make it happen. Memory formation is still a poorly understood process, but scientists are finally starting to get a grip on how it works, and why it is that at one moment we’re able to recall a vivid detail what happened ten years ago, but then unable to remember what we did just yesterday. Tomorrow, Wednesday February 10, NOVA’s “Memory Hackers” introduces viewers to cutting-edge science and the memory researchers who are leading the way, including psychologists who can plant false memories in patients, and neuroscientists who can both erase and “incept” memories in mice. Once thought of as immutable snapshots of the past, these scientists are showing just how open our memories are to re-intepretation, revision, and modification. When it comes to the prospect of brain hacking, it’s not a matter of if, but when. Indeed, new evidence suggests our memories are imperfect and malleable constructs that are constantly changing over time. Each time we recall a memory, we go through the process of revising it. That means any time we recall an old memory, we’re disrupting it. Sadly, the fidelity of our memories degrades over time. 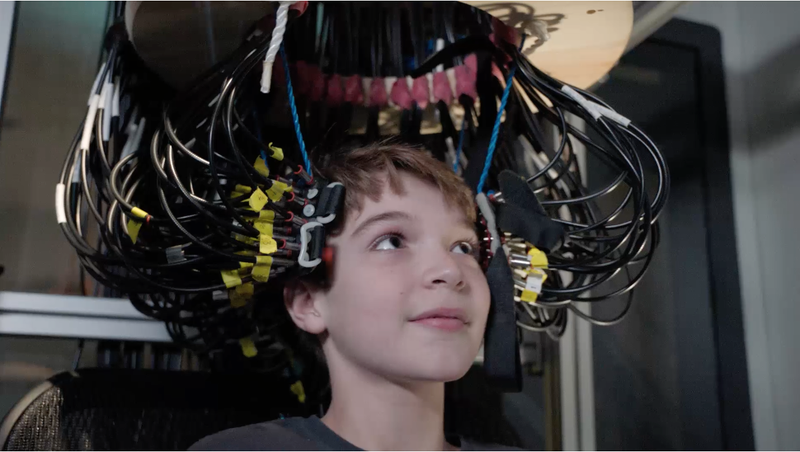 NOVA also introduces viewers to 12-year-old Jake Hausler, the youngest person ever diagnosed with HSAM, or Highly Superior Autobiographical Memory. Hausler is only one of a small number of individuals who can recall their past in excruciating detail, such as the most mundane aspects of a random day five years ago. Because of his unique skill, Hausler is the subject of intense scientific inquiry. Neuroscientists are desperate to know, what is it about Jake’s brain that’s different from everyone else’s? 12-year-old Jake Hausler in an MRI scanner. Via Nova. Despite his remarkable recall abilities, Hausler’s IQ is unaffected, and he has difficulty distinguishing important prior events from trivial ones. If anything, it’s a bit of a curse. And indeed, our ability to forget is nearly as important as our ability to remember; our memory often serves as a repository for our most important past events—both good and bad—that we need to access on a regular basis. “Forgetting is probably one of the most important things that brains will do,” noted neuroscientist André Fenton in the episode. “We understand only the tip of the iceberg when it comes to human memory.” Fenton is currently working on a technique to erase painful memories, and he’s hoping to leverage his work to help treat patients with dementia and Alzheimer’s. But what it we can also modify our associations with memories? Such is the thinking of clinical psychologist Merel Kindt, who works will people suffering from phobias and anxiety workers. Her work shows that a common blood-pressure medication can work to block the action of adrenaline in the amygdala, which is the fear center of the brain. In the NOVA special, a patient with severe arachnophobia is seen before-and-after the treatment, which involves intense close encounters with a live tarantula. More ominously, there’s the work of psychologist Julia Shaw, who has designed a system for implanting false memory. In a rather disturbing experiment, Shaw implants a false memory in a patient, who at first resists the suggestion, but by the end of the “therapy” is convinced that it really happened. Shaw’s work shows just how precarious our memories actually are, and how susceptible we are to recalling things that never even happened. The implications to our lives, and as potential witnesses to important events, are profound. But the most jaw dropping moment of the episode came when neuroscientists used optogenetic lasers to implant a positive memory in a fearful mouse. Watching it on the screen, you could literally see the exact moment when the new memory was delivered via optogenetic lasers to the mouse’s brain. The prospect of memory hacking brings with it a host of practical and ethical issues, which were largely glossed over in the episode. But as Berkeley’s Matt Walker asked in the episode, “Are we suggesting that evolution got it wrong?” Indeed, if we’re to embark down this path—and it certainly appears that we are—we need to ask what problem it is that we think needs fixing. NOVA’s “Memory Hackers” premieres on Wednesday February 10 at 9PM/8C on PBS.